The Raj Mahal, which is also popular as ‘Raja Mahal’ is the royal residence of erstwhile kings of Orchha, situated in the Tikamgarh District of Orchha. 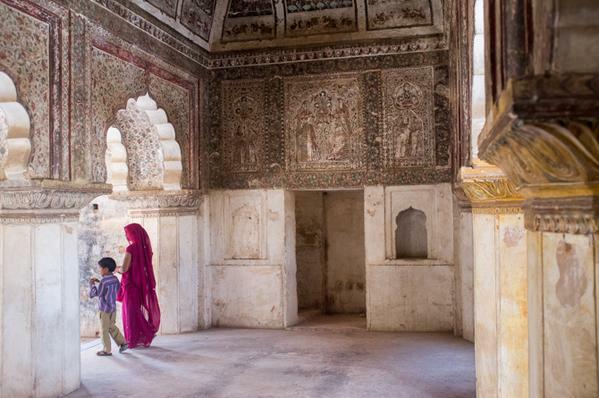 The palace features huge towers crowned by cenotaphs, large courtyards, royal expanses but the most striking feature of raj Mahal Palace are the boldly colored mural paintings on its interior walls and ceilings. These mural and animated paintings are majorly based on various religious themes. Lined with fragments of mirrors and animated paintings plastered all over the walls and ceiling, Raj Mahal’s interior attracts many visitors from across the globe to Orchha. 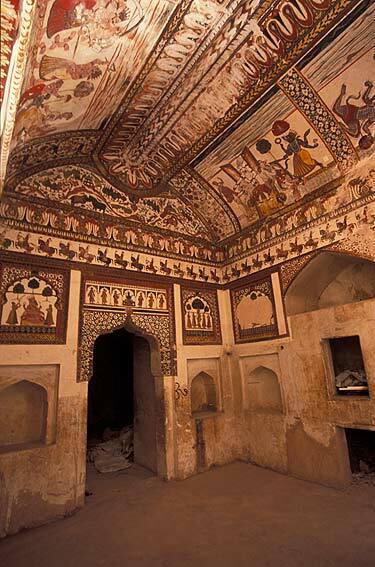 The vaulted ceilings have some lively paintings in the Bundela Style. These depict peacocks, parrots, antelopes, bison, elephants, deer and anima fights. You can also look out for scenes from Music concerts, courtly life, and hunting expeditions. Hunting was a very important part of noblemen’s life. However it is said that when ordered to by the imperial court. By this defiant gesture he upheld the belied that the lion embodies Narasimha, the half-lion, half-man incarnation of Vishnu, and earned the further respect of his people and the Mughal court. Some of these paintings done in the 15th century are still in remarkable condition and can be witnessed even today. If you are an art lover and appreciate work of art from Indian heritage, then this is the place where you should be. The Handsome weekend clouds over Amar Mahal are calling you for a refreshing time with us. Longing to enjoy a relaxing and refreshing holiday in Madhya Pradesh- endearingly called “Hindustan Ka Dil”? 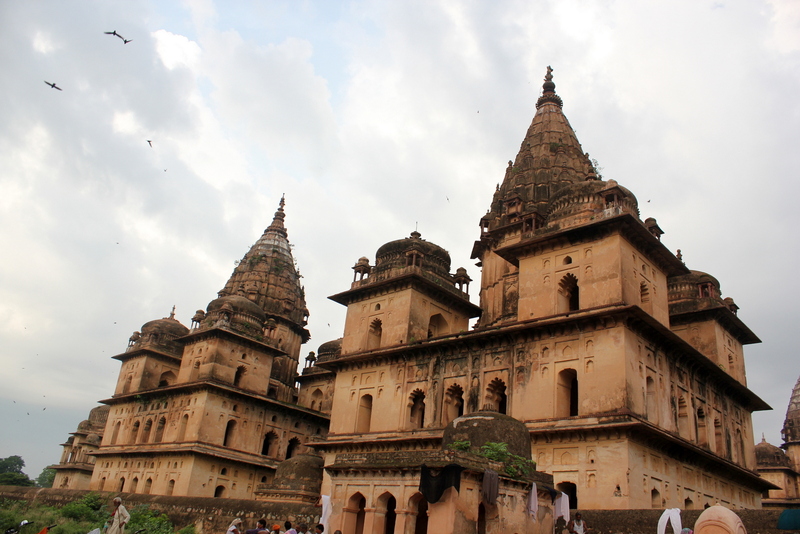 Drive down to the hidden town of Orchha. 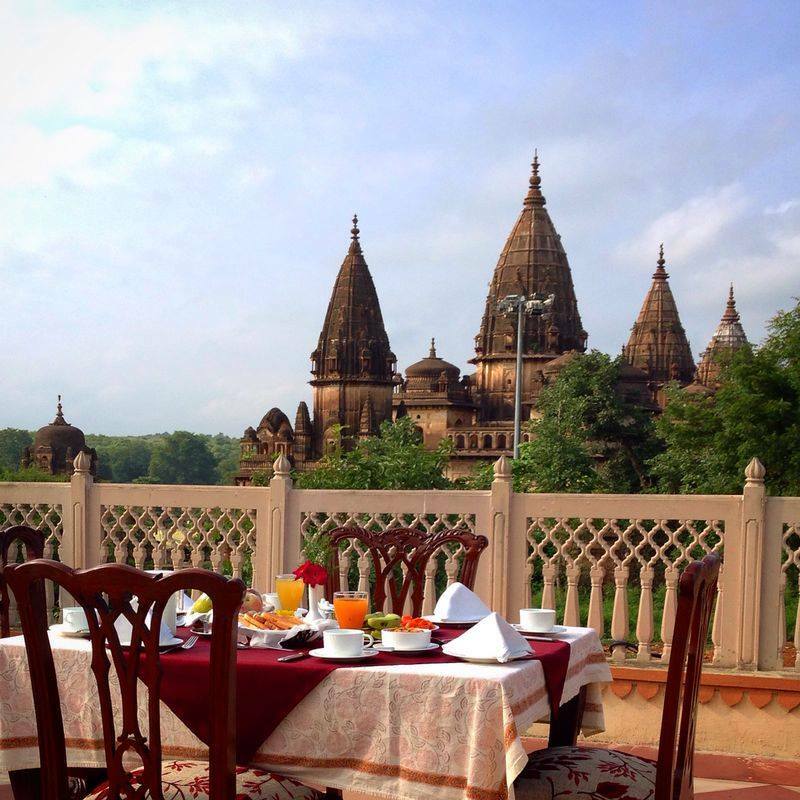 Orchha offers an unimagined experience of bliss and retrenchment. Apart from exploring architectural marvels here, it is the best way to enjoy some quality time with your friends and family. 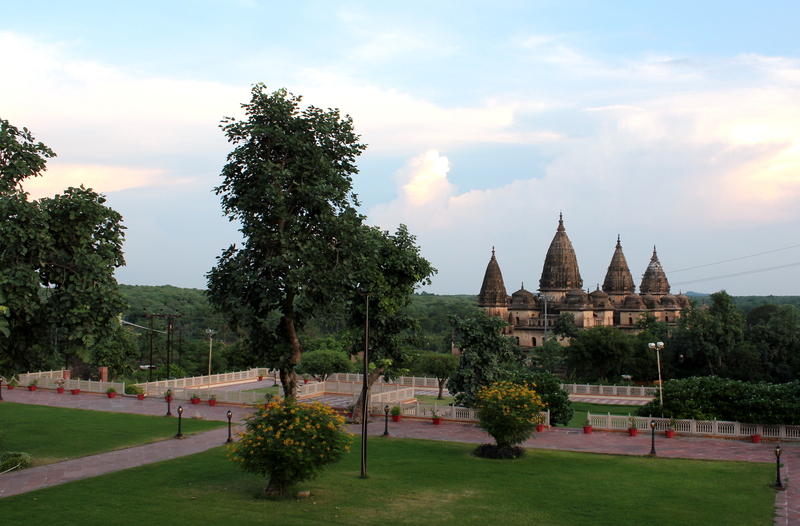 In order to maintain the perfect work-life balance, one should often plan a holiday trip to Orchha. 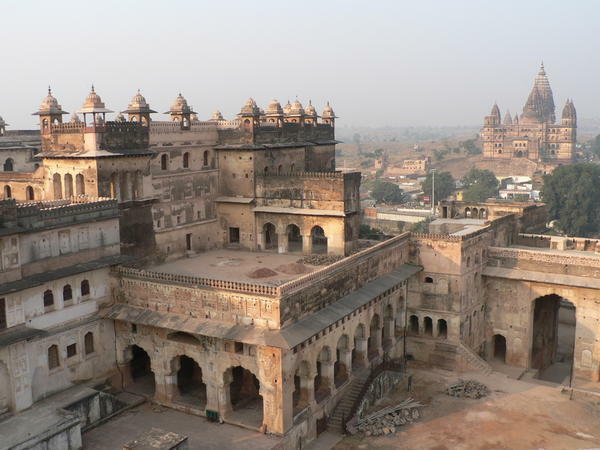 Orchha is vast in its expanses that it is not possible to explore all in one weekend. There are heritage sites, religious monuments, natural wildlife sanctuary and river sports activities to make the most of your weekend holiday. 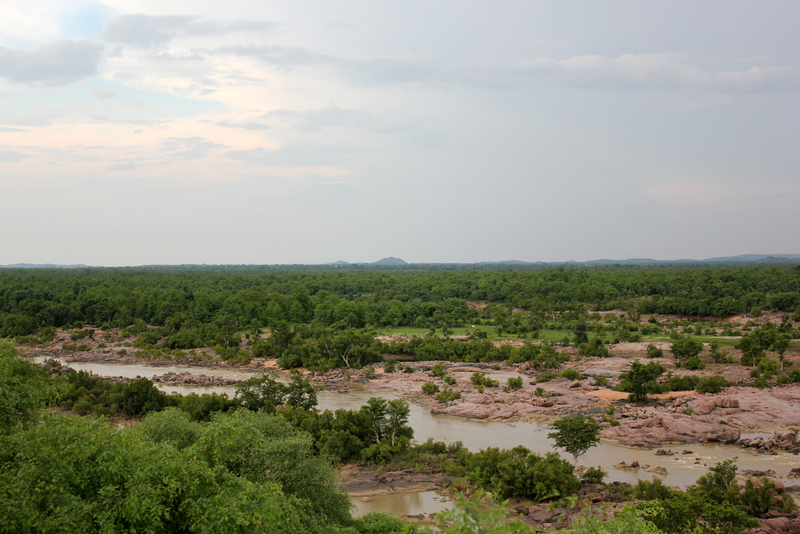 Orchha is quiet, calm and soothing destination for the nature and heritage lovers. 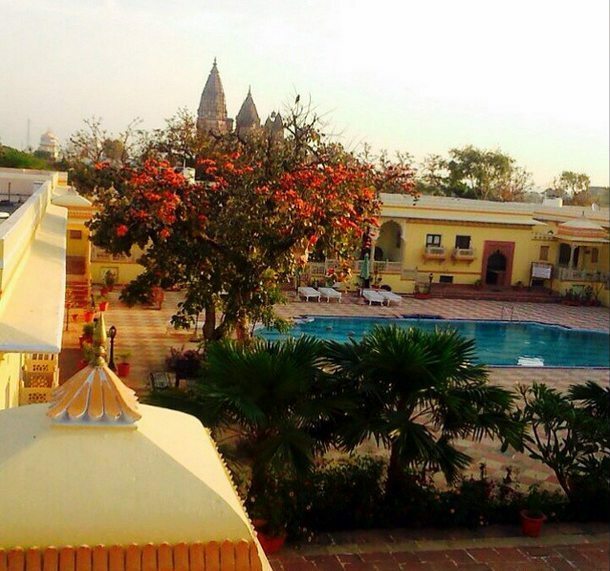 While the fabulous drift in weather makes it more delighting to spend a holiday in Orchha! So what are you waiting for? Weather seems to be right! 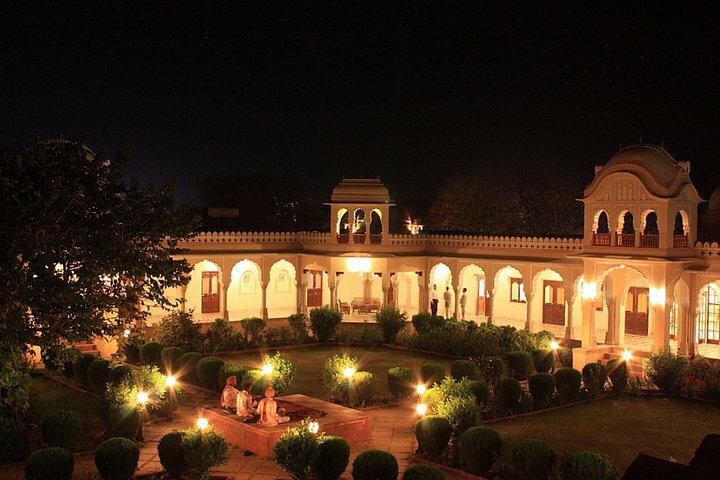 Take a drive to ‪#‎Orchha for the awesome family time ! For a supreme and ultra delighting experience of the hidden town, plan your stay at Amar Mahal Orchha- an exotic palace of erstwhile Royals of Bundelkhand. 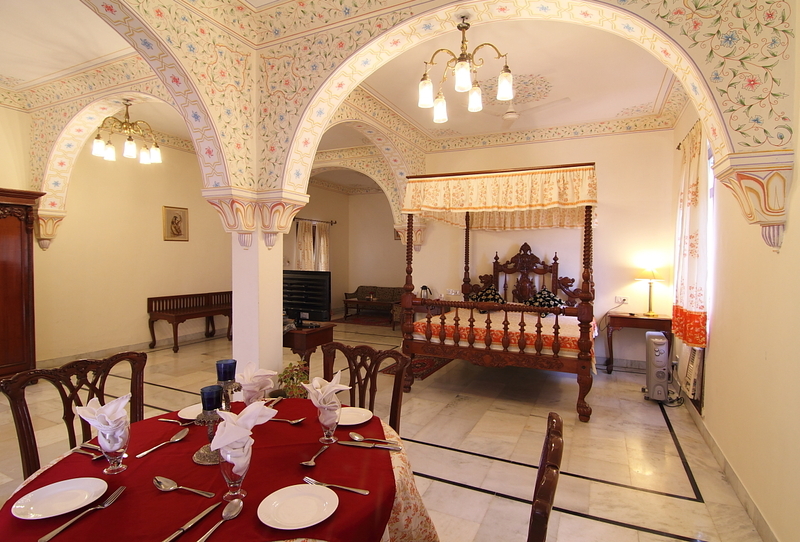 We are happy to share that we had a really wonderful guest here at Amar Mahal Orchha! 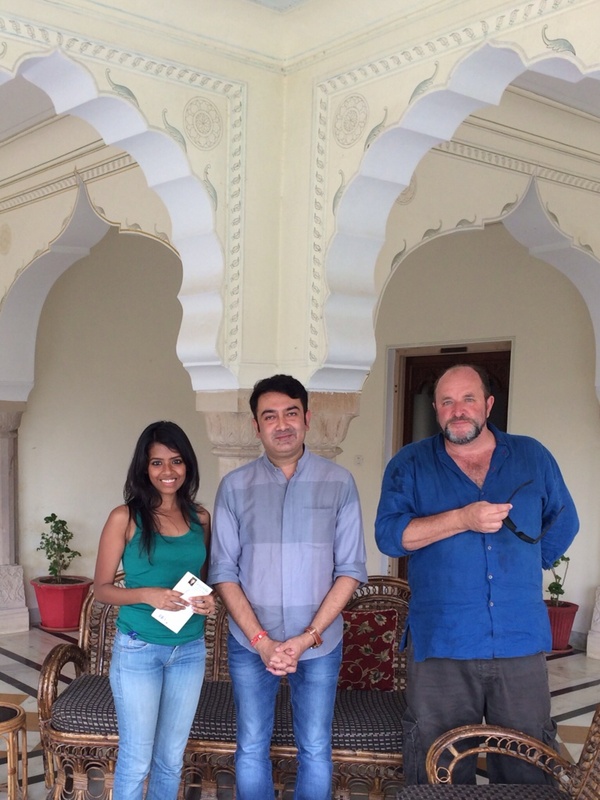 He is Mr. William Dalrymple. Mr. William Dalrymple is a British historian, and writer, art historian and curator, as well as a prominent broadcaster and critic. His books have won numerous awards including the Duff Cooper and the Wolfson Prize, and he has been four times long listed and once shortlisted for the Samuel Johnson Prize for non-fiction. He is also one of the co-founders and co-directors of the annual Jaipur Literature Festival. It was an honor to meet the famous travel writer who appreciated the architecture, ambiance and hospitality of Amar Mahal. Amar Mahal is an old palace, which still stands high depicting the tales of bygone era, was once witness to the grand royal stories. The present retreat is an addition to the old world charm that dates back to 1895. 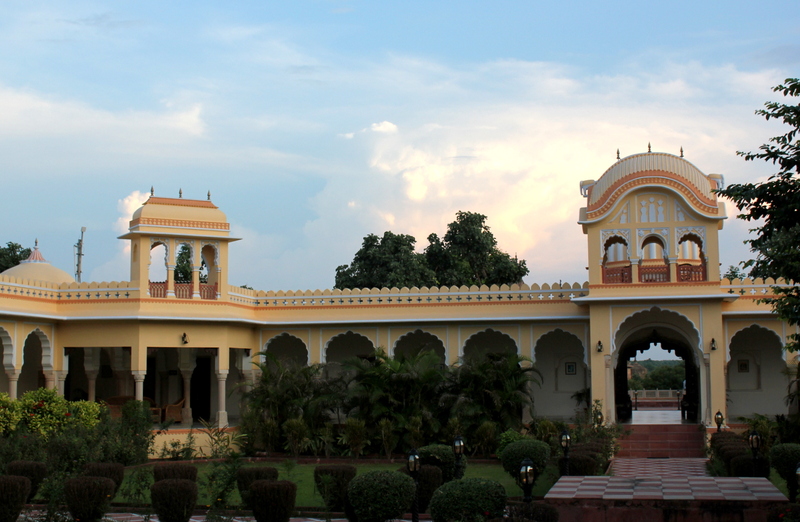 The architecture of Amar Mahal is built like the Rajput house of Bundelkhand. It is a perfect gateway to experience the historical and natural splendour of Orchha which are less than a kilometer away from the hotel. 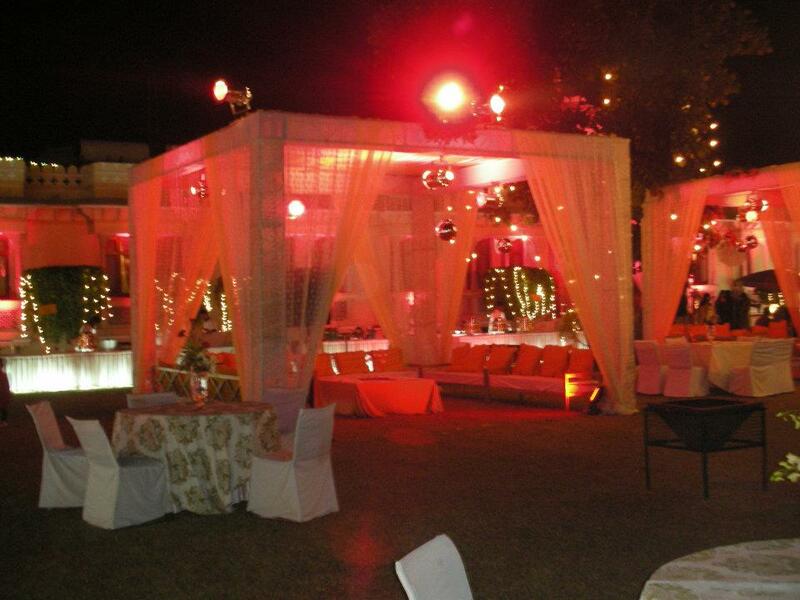 We personally supervise the preparation for our extensive Menu, offering the true flavours of the continental and local Bundelkhandi dishes prepared from the fresh plucks of our own organic garden. Dining at Amar Mahal is a unique experience that not just brings back to life the grandeur and memorable flavours of the royal era but also serves health in the platter.